April 1, 2017 - Like us now! 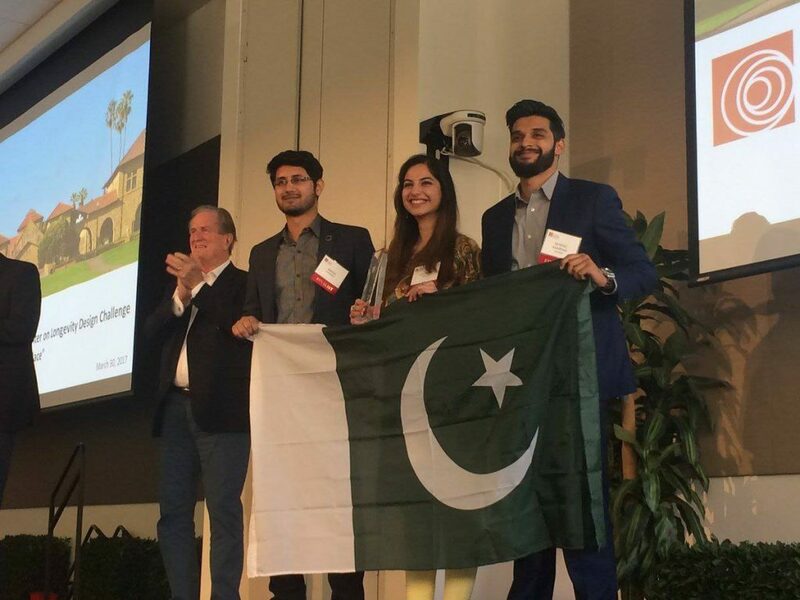 After defeating teams from all over the world, TAME, a smart wearable for tremor acquisition and minimization, has brought accolades to Pakistan by winning the Stanford Center on Longevity Design Challenge 2017, held in California US. The Stanford Center on Longevity Design Challenge is a worldwide competition that offers cash prizes and free entrepreneurial-related guidance to the winners. The students from universities all around the world participate in the competition to earn these worthy rewards. This year the competition was focused on such design projects and products which are modeled to optimize life of human beings. The team TAME was able to get into the finals of this year’s Longevity challenge and consequently bagged the first position at the final which was held in California USA, on 30th of March 2017. This team from Pakistan competed against teams from renowned universities from across the globe including those from Massachusetts Institute of Technology (MIT), Cornell University, Virginia Tech, University of Sao Paolo, Beijing University and Stanford University itself. The Team TAME includes students from National University of Sciences and Technology (NUST), Islamabad campus and are recent Electrical Engineering graduates from SEECS. TAME was recently featured in TechJuice 25 under 25 series too. Here is the profile of TAME.